I visited Jessika and Jared at Starvation Alley Farms in the late, late summer. We sat at the kitchen counter in the house Jared’s parents purchased at a yard sale (really) on the Long Beach peninsula. 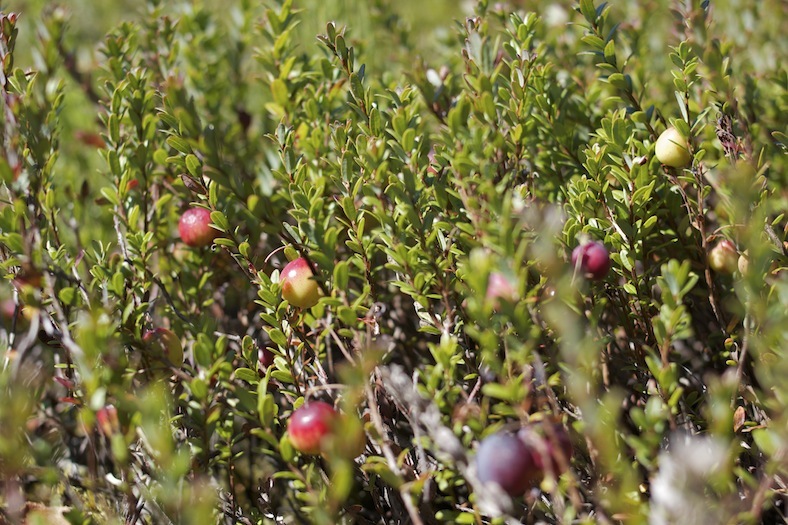 The kitchen window looks out on five acres of cranberry bogs, land that was scenery until his parents purchased it about six years ago. 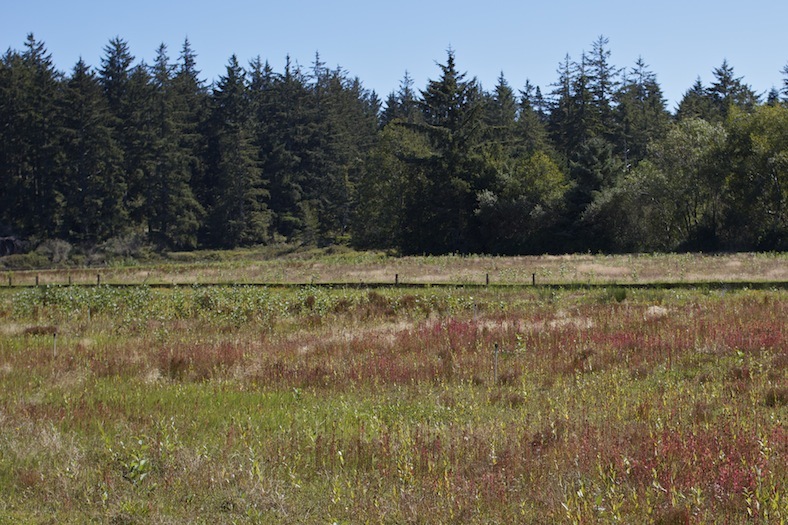 That set off a chain of events that brought Jared and Jessika back to the Pacific Northwest and set them on a path to becoming the first organic cranberry farm in the state. 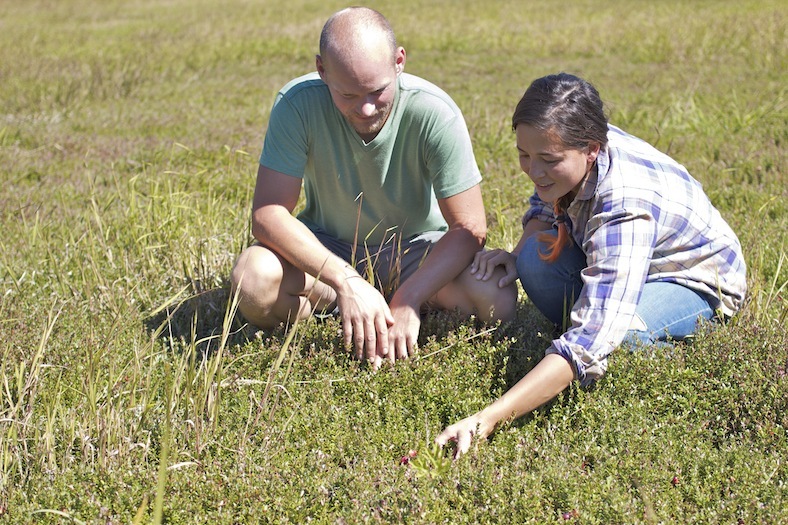 My latest story for Edible Seattle profiles Jessika and Jared, their organic cranberries and their raw, cold-pressed cranberry juice. I had a shot of their juice at the PSU Farmers Market in Portland and couldn’t really get over it. It’s strong (they call it Cranberry for Concoctions for a reason). But it’s more than that. A little bit acidic. Tangy, yes. 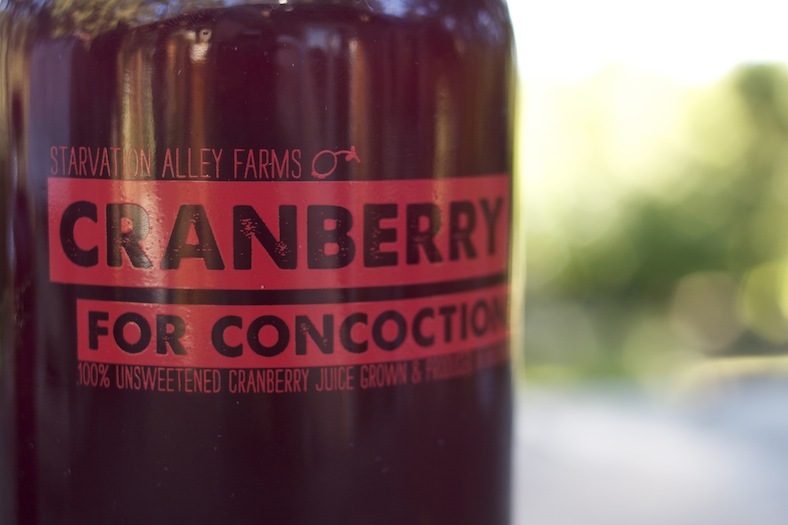 Sweet, but not in the cloying way we’re used to with commercial cranberry juices. The juice is in dozens of bars and restaurants in Seattle, Portland, and the Long Beach area. It’s also at a number of retail locations, though I’m still holding my breath for an Olympia source. To read the story, snag one off the rack in the next week or so, before the next issue comes out. 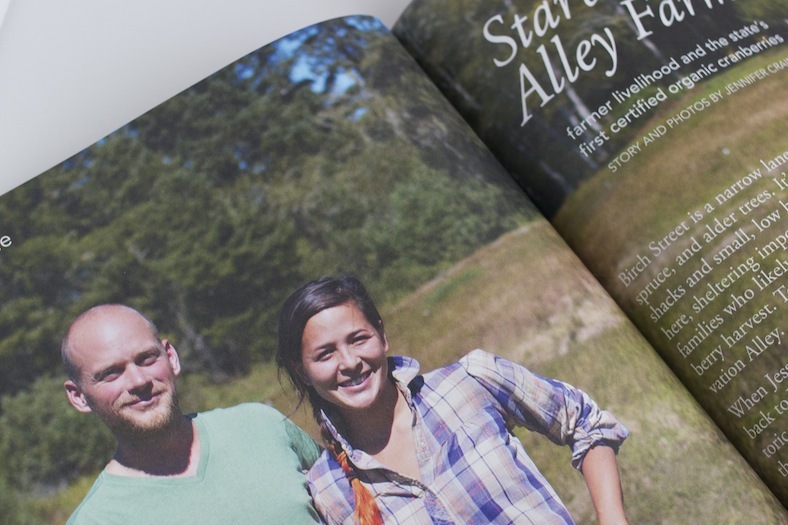 If you’re here in Olympia, find one at either location of the Olympia Food Co-op or at Orca Books. Or subscribe! It’s like a food lit CSA. 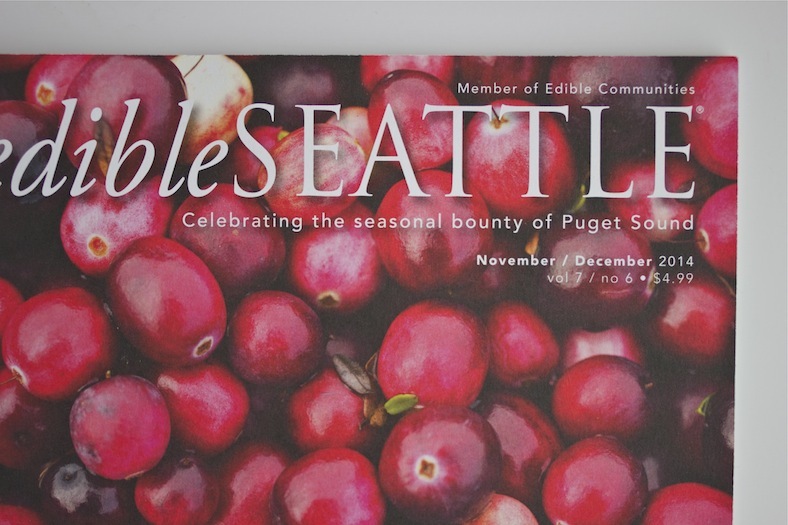 The Edible Communities publications are published, edited, and written by locals, about locals. It’s a great gift for your locovore friends and supports farmers and food artisans as well as local writers, photographers, and recipe developers. In the current issue: Amy Pennington’s Aged Vanilla Eggnog (on the docket for this weekend at our house), Anne Livingston’s make-ahead meals for the holidays (topped off with Peppermint Nanaimo Bars! ), as well as stories on buckwheat, local wine, and seed saving. Pick one up, and let me know what you think. 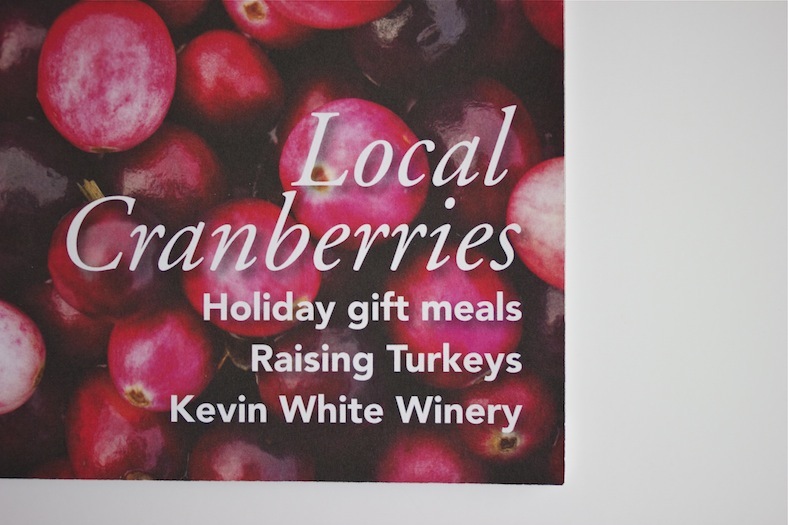 This entry was posted in Fall Fruits, Writing and tagged Cranberry, Local, Organic. Bookmark the permalink. My favorite magazine, and I’m so happy you’ve been writing for it. Is this cranberry photo of yours the cover?! Congrats!! I took the shots to accompany the article, but not the cover photo. Maybe someday! Thank you for reading, Kelli! Its such a great excuse to hang out with all these marvelous food folks.